Call Forwarding is an essential feature of any growing business, especially if you are operating with multiple departments or locations. 1. Simulated Ring Option: You can set up a forwarding number, then have both locations ring when that number is dialed. 2. Single Ring Option: You can also simply have the call forwarded to the number without ringing the first location. 3. Mobile Option: If you are looking to forward your call to a cell phone, you can use the Ooma Office mobile app directly from your iOS or Android device. 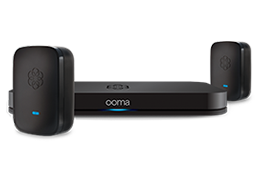 To learn more about call forwarding and multi-ring options with Ooma Office, check out our list of FAQs here.